Belleair Beach borders Clearwater Beach and Sand Key park on the North and Indian Rocks Beach on the South. 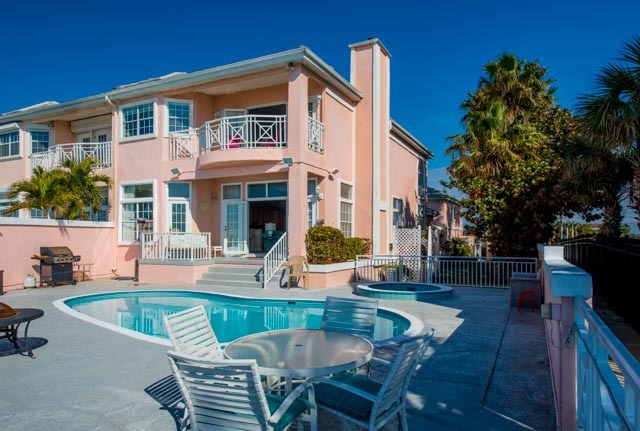 The City of Belleair Beach is an upscale residential community; home to families with children, empty nesters, retirees, and seasonal residents, this city has a relaxed peaceful atmosphere with all the advantages of waterfront living and the charm of an old-fashioned friendly neighborhood. Belleair Beach provides many park facilities, including 4500 feet of beach with four beach access ways and three beach parking areas, eleven public parks including Morgan Beach Park, the Causeway beach area, a boat ramp, two tennis courts, and a municipal Marina. One of the loveliest attractions is Sand Key Park with its flour-fine white sandy beach. It's 95 acres located on Sand Key a barrier island between the Gulf of Mexico and the Florida Intracoastal waterway. For our early morning risers, you will also find several beautiful golf courses available, if you should choose to start your day with a relaxing game on the links. Belleair is where the historical Belleview Hotel is located, and tours of this magnificent old hotel are given every day at 11:00 a.m.